Challenge: Studies show that companies are needlessly wasting their marketing-generated leads. How can this be made relevant to legal industry clients? 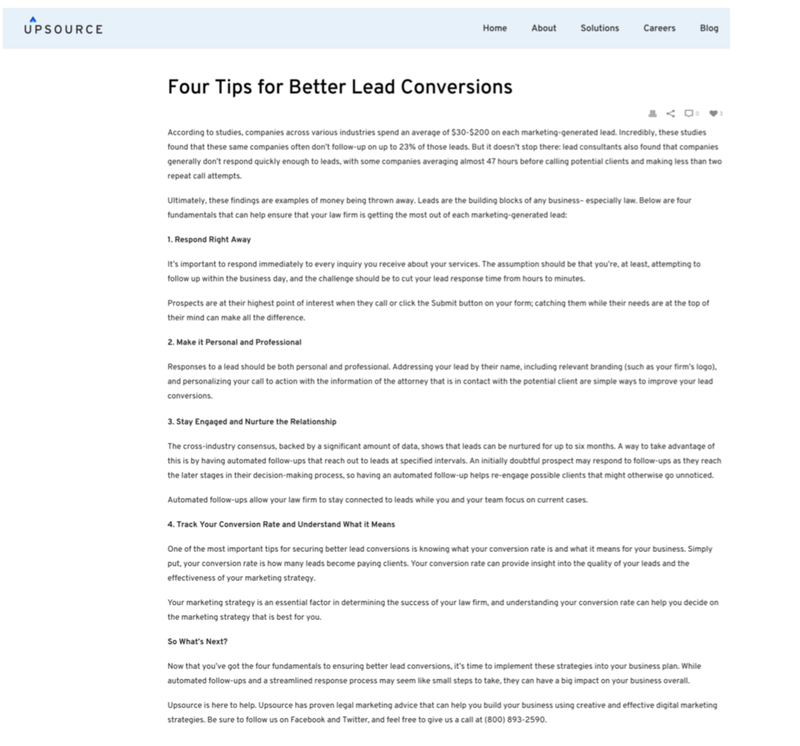 Solution: Write a tips post about converting that emphasizes speedy response, personal professionalism, relationship nurturing, and conversion tracking.